The integration of any newcomer into a new community is always a learning process for everyone involved. 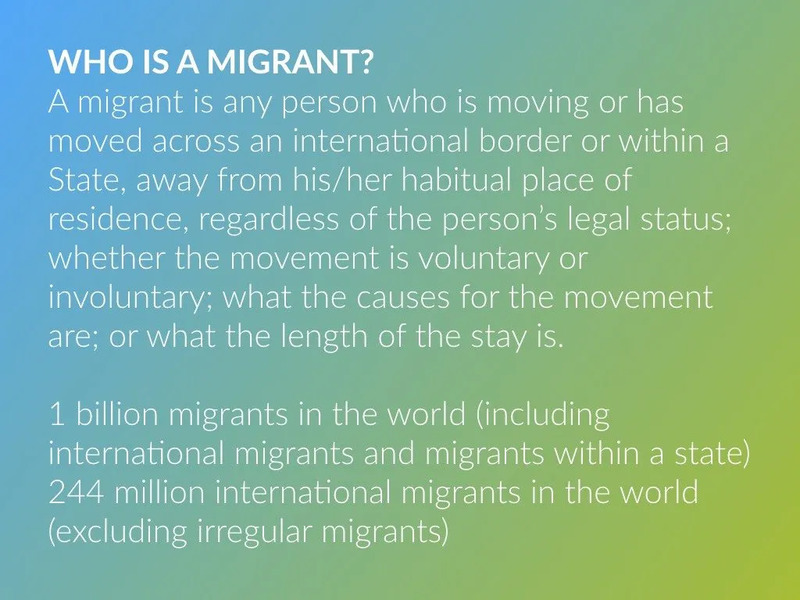 To shed light on the most relevant aspects of migration today and explore the role global citizenship education can play in tackling the current refugee challenges, Milena Miladinovic interviewed Guglielmo Schinina, the Head of Mental Health, Psychosocial Response and Intercultural Communication Section at the International Organisation for Migration (IOM). Guglielmo has also lead the IOM’s psychosocial interventions in Lebanon, Kenya, Haiti, Libya, Syria, Kosovo and Macedonia. 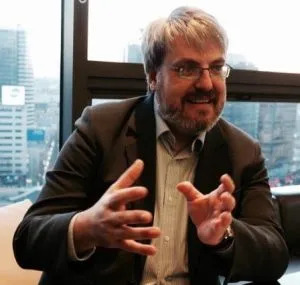 He launched and co-directs the Summer-Winter School in “Psychosocial Interventions in Emergency and Displacement” and teaches a Masters course at the Sant’ Anna University in Pisa and the University of Turin, both in Italy. This interview was originally published in the Connect: Intercultural Insights for Global Citizens — curated by AFS Intercultural Programs. Connect: Migration is a headline topic today, but many experts are not comfortable with how the challenges are framed. What should we really focus on? German Chancellor Angela Merkel recently stated that “migration is the defining factor of our democracies today”, and she is right, because population mobility is not a problem but a fundamental element of our reality, strictly linked with globalization, mass communication, inequalities and individual aspirations. We know that 71% of migrants live in highly developed countries and that most migrants originate from middle income backgrounds, not extremely poor or conflict affected countries. For this reason, it would be wrong to consider migration only through the lens of the recent influx of migrants in Europe. Migration is a global phenomenon and has been constantly and exponentially on the increase in the past few decades. Moreover, not all migration is characterized by serious protection and socio-economic concerns. A victim of human trafficking is a migrant just as an exchange student is a migrant. Population mobility is not a problem but a fundamental element of our reality, strictly linked with globalization, mass communication, inequalities and individual aspirations. Connect: What type of assistance and support do migrants and receiving communities need the most to successfully integrate into their new homes? It is important to redefine the current narratives on migration and the way migrants are received in host countries. Migrants are human beings, who need food, shelter, medical care, safety, a productive life and livelihoods, and healthy social interactions with family, friends and others — just like anyone else. Most migrants are able to attend to their basic needs by themselves without any special treatment. They simply need access to the same opportunities and services as others. A small percentage of migrants may need special support, due to their vulnerabilities and difficult past experiences, but this is normal in any population. For some migrants it may be more difficult to establish social interactions from scratch, which can be aggravated by stigma and prejudices. In some cases, they may need to learn a new language and to conform to different values. These challenges may affect migrants’ identity, self-esteem and wellbeing. That’s why comprehensive psychosocial support can be as important as the ability to satisfy basic needs to the integration of migrants. The main problem may be that while safe and productive migration paths coexist with less safe and vulnerable paths, the latter paths monopolizes the political and social discussions on migration. Migrants are usually considered vulnerable and a possible burden on the social assistance systems, even a security threat. As a consequence, negative and biased public and political views on migration affect the dignity of migrants, their and our emotions, and intercultural relationships globally. We need to focus on migrants as individuals with their own human value at the center of the narratives, policies, services and interactions. It’s about communication, acceptance of cultural diversity, avoidance of stereotyping and fake categorizations. We need to focus on migrants as individuals with their own human value at the center of the narratives, policies, services and interactions. 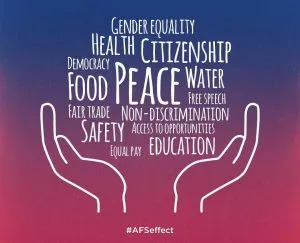 Connect: How can AFS and other global citizens support the integration of refugees in our communities? Refugees do not leave their countries voluntarily. Instead, they are forced to do so by the circumstances. In all assessments done about their intentions for the future, Syrian refugees consistently report that their hope is to go back to their country as soon as the situation allows them to do so. Now, the circumstances that oblige refugees to leave their countries, sometimes for decades, are often a local manifestation of global geopolitical inequalities, compromises and unethical decisions. As global citizens working towards peace we should scrutinize and criticize the very global and geopolitical root causes and contradictions that force refugees to leave their countries: the real reasons for certain wars; the global roots of some conflicts; the interest of my own country in these conflicts; environmental policies that affect competition for resources; the international weapons trade that feeds conflicts that make refugees to travel to my country. Be welcoming to refugees, looking at their diversity as a value and enrichment and not as a threat. Being welcoming to refugees is a legal obligation for the states and a human must for all of us. 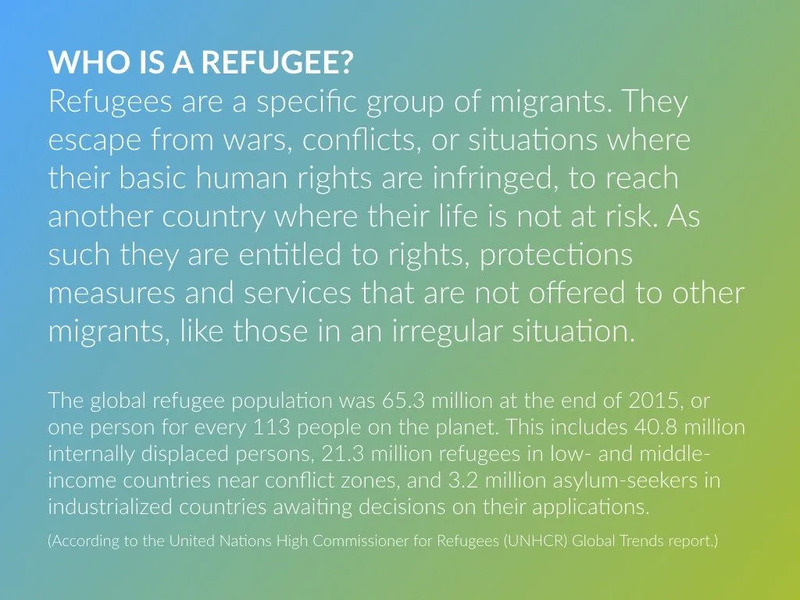 All global citizens should be informed about the real facts that brought refugees to our communities and share this knowledge with others, helping to fight misinformation, misperceptions and stigma. Be welcoming to refugees, looking at their diversity as a value and enrichment and not as a threat. Do not consider refugees as a risk to be managed, but as a possibility of growth for our neighborhoods. Do not consider refugees only for their suffering and problems, but also for their resources and strengths. Break the cycle of stigmatization in our own environments. Create occasions for exchanges and participation. This is for all of us. Those who want to get more involved and help directly as volunteers at the borders, shores, and refugee centers are welcome to do so. Volunteers help refugees to feel heard and welcomed. Working directly with refugees at this point helps them bond in a difficult point of their life. However, you should follow certain guidelines to be effective and make a real contribution. Guidelines outlined by United Nations High Commissioner for Refugees (UNHCR), International Organisation for Migration (IOM) and Mental Health and Psychosocial Support Network (MHPSS.net) with the contribution and endorsement of 13 other agencies provide advice on protecting and supporting the mental health and psychosocial wellbeing of refugees, asylum-seekers and migrants. Schools should be open for information campaigns, orientations, preventative healthcare for both students and their parents. Connect: What can schools and educators do to help students and families adapt and integrate in new cultures and countries? The role of schools and educators is fundamental in helping migrant students and their families to integrate in a new context for many reasons. Education is very important for the successful integration of those who migrated and schools are often the only point of contact between some migrant families and the institutions or different forms of social support. Schools and educators need to be knowledgeable about cultural diversity and of how to manage cultural diversity in a pedagogical manner. They must include the contribution of migrants, migrant stories and migrants’ cultural products in their programs, allowing migration into the official cultural canon of the country, which can be beneficial to both the migrant and the host children for generations to come. Pedagogues need to be aware of the fact that migrant children come from different school systems and they need time and special attention to adapt to the new ones. Teachers need to be aware of the integrational role they play, and schools should be open for information campaigns, orientations, preventative healthcare for both students and their parents. In addition, teachers should be prepared to support children whose cognitive functions and school results suffer due to high levels of distress. Conflicts are an essential part of growing up, but they need to be managed in a positive way. Teachers who are knowledgeable of conflict mediation and transformation techniques are more likely to be able to help the integration of migrants. Many would think that it is unrealistic for a teacher to do all of the above. Yet many teachers do it in their everyday work, intuitively or intentionally. It is essential that these competencies and activities are part of the educational national curricula and that the teachers’ competences and efforts are included into wider national policies and procedures linked to cultural diversity and integration.